Visit the Mayan ancient ruins of Tikal and Yaxha on this 2-day trip from Guatemala City! After early-morning pickup from your hotel, head to the Guatemala City airport, hop on a small plane, and set off toward the northern Guatemalan town of Flores. When you arrive, head straight to the UNESCO World Heritage-listed Tikal National Park (Parque Nacional Tikal) to begin your adventure! Covering more than 341 square miles (550 sq km), Tikal National Park is home to thousands of separate ruin structures. Visit the central area of the once great Mayan city with your expert guide and explore various parts of the park, including visit the Central Acropolis, consisting of a maze of courtyards, rooms and temples. Visit Complex Q and R, featuring twin-pyramid complexes fronted by altars, and tour Temple I, the Temple of the Grand Jaguar. Built to honor and bury King Moon Double Comb, this 144-foot (44-meter) temple is a small enclosure of three rooms with exterior stairs leading to the top of the steep temple. Near here, visit the equally beautiful Temple II, also known as the Temple of the Masks. After exploring Tikal, enjoy a delicious lunch before heading to your hotel, where you can explore the city at your leisure. Enjoy complimentary breakfast at your hotel before heading southeast to Yaxha, a Mayan archeological site. Take in the scenic jungle landscape of this unique area overlooking the Yaxha and Sacnab lakes as you follow your knowledgeable guide around Yaxha. 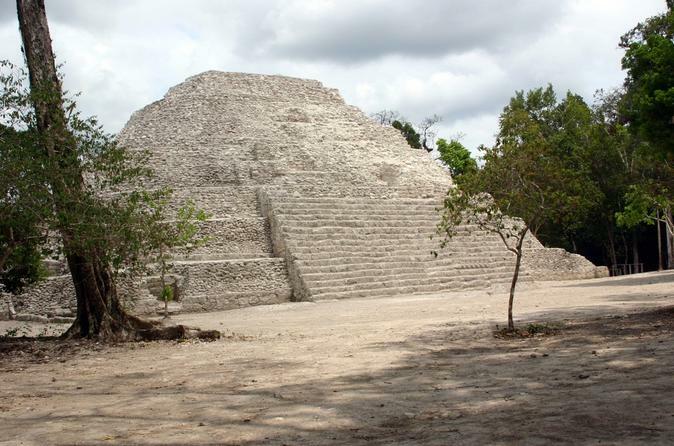 Learn about the history of this ceremonial Mayan site, which features more than 500 ancient structures, and spend time visiting different sections of the site, including pyramid temples, ball courts and elevated plazas. After this incredible historical tour, enjoy lunch before beginning your journey back to Guatemala City.